With both of these teams losing out in Round 1 of the Top 16, they will both be desperate to grab the win in this game. No one wants to have a 0-2 record at the start of the Top 16 campaign but this is guaranteed for one of these teams which mean that we are likely to have a tight and nervous affair in Germany on Friday. A 6-4 record in the regular season means that the Germans will have a bit of confidence heading into this one, even if they did lose out last week. Bradley Wanamaker has been an integral part of their success so far this campaign and he managed to serve up an average of 12.4 points per game so far in the Euroleague. 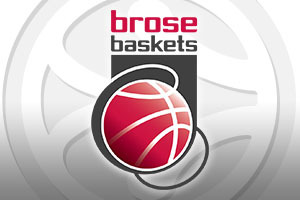 Another big player for Brose Baskets has been Niclo Melli, who has an average of 6.1 rebounds for the season so far. These are two of the players that Brose Baskets Bamberg need to deliver a big showing if they are going to have hopes of progressing beyond the Top 16. If the away team are to cause an upset in Germany, they will need Paulius Jankunas to have a big showing. He has been an integral player for Zalgiris so far this season, serving up an average of 12.1 points and an average of 6 rebounds. This is the sort of consistency that turns defeats into wins, and this is what is required on Friday night. The team from Kaunas are one of the lowest point scorers left in the tournament and this is something that they need to work on if they plan on hanging around beyond the Top 16. The home side are the big favourites for this game and it is hard to argue with that way of thinking. 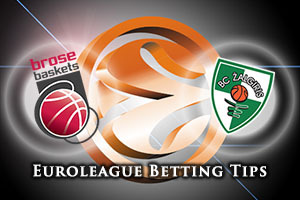 Taking Brose Baskets Bamberg at -7 at odds of 1.90 should give you a great start to the weekend. If you want to get involved with the Over/Under market for this game, you should be looking to go OVER 149.5 which can be found at odds of 1.90. Bet Now!